What is a GoCatch Rewards Membership? 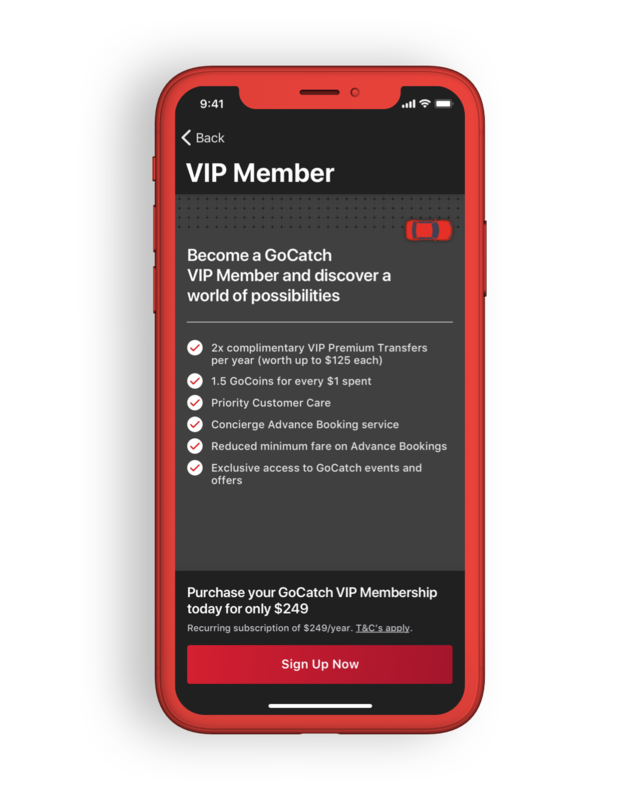 Become a GoCatch VIP Member and discover a world of possibilities. VIP members earn GoCoins at 15x the non-member rate (1.5 GoCoins for every $1 spent). Utilise bonus days and multipliers to earn even more. As a GoCatch VIP Member, receive 2x complimentary VIP Premium Transfers per year, worth up to $125 each. The next time you have a special event, a flight to catch or date night – arrive in style with GoCatch. An elevated experience will await you with professional drivers and a premium vehicle.